Porcelain veneers are a popular option for those seeking to restore or enhance their own naturally beautiful smiles. 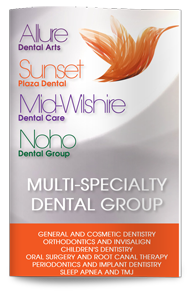 Dr. Poneh Ghasri DDS, West Hollywood cosmetic dentist, can use porcelain veneers to cover cracks, chips, gaps, misalignments or intrinsic stains. Wafer-thin shells of porcelain, veneers are bonded to the front of your teeth. They have a long lifespan, which proper maintenance can help maximize. Good dental hygiene is one of the best ways to get the most out of your dental veneers. Brush and floss after meals, and visit our dentist every six months for a professional cleaning and dental exam. If you grind your teeth in your sleep, talk to our dentist about wearing a custom-fit mouth guard, which can protect your dental veneers from breaking or cracking. Avoid alcohol, which is capable of staining bonding, and limit your consumption of foods that can damage your veneers, such as anything hard or excessively sticky. Do not use your teeth as tools or bite your nails--two habits that can also crack or break your veneers. Dental veneers made of porcelain can strengthen your teeth and are a good choice for those who wish to hide minor to moderate imperfections. A small amount of enamel must be removed in order to fit the veneers properly to your teeth, which means the procedure is not reversible. Contact us today to schedule your appointment with Dr. Ghasri, West Hollywood porcelain veneers, or to learn more about porcelain veneers.